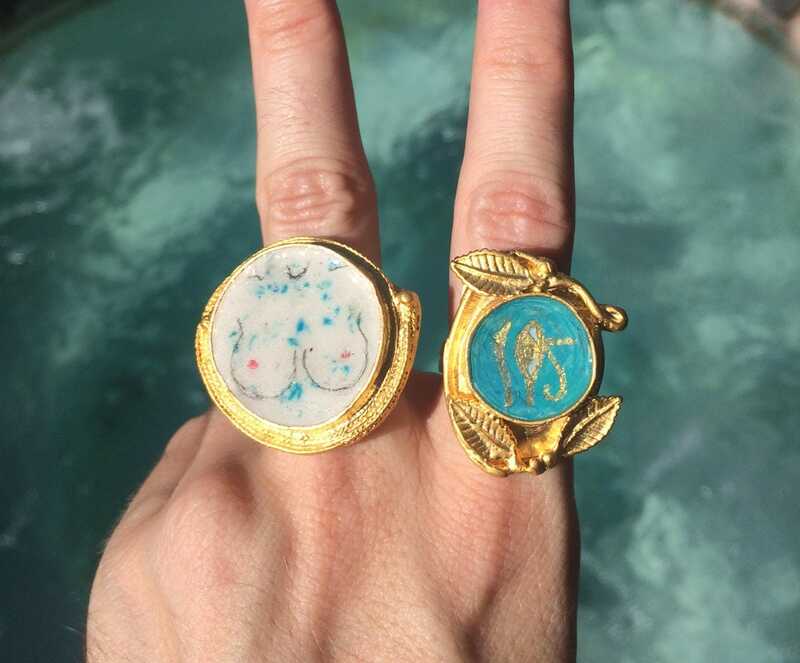 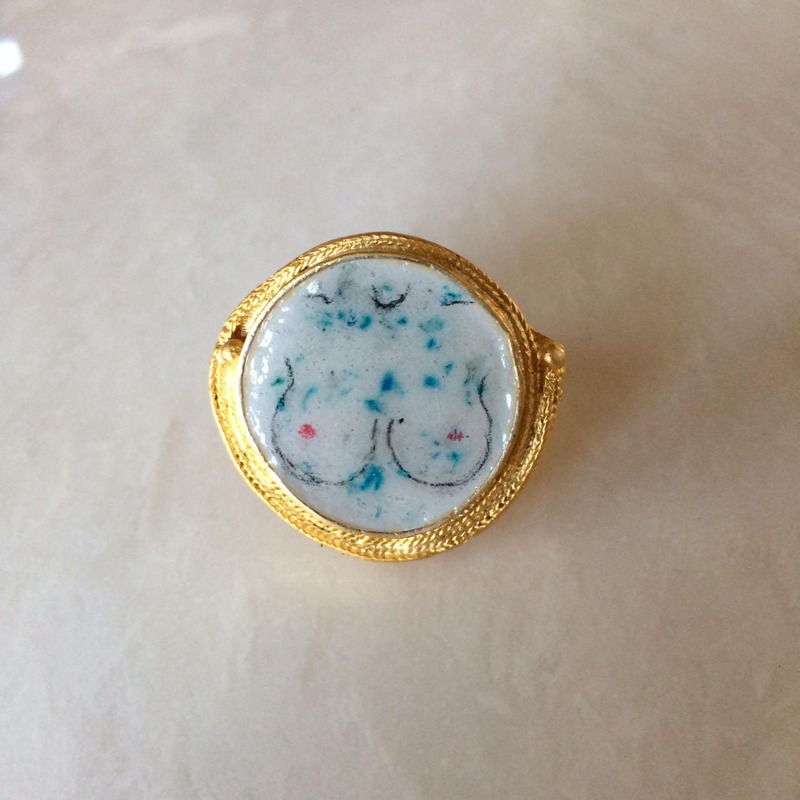 22k Gold plated brass ring with ancient Roman style graffiti (graffito) of breasts drawn on artist grade concrete and finished with enamel. 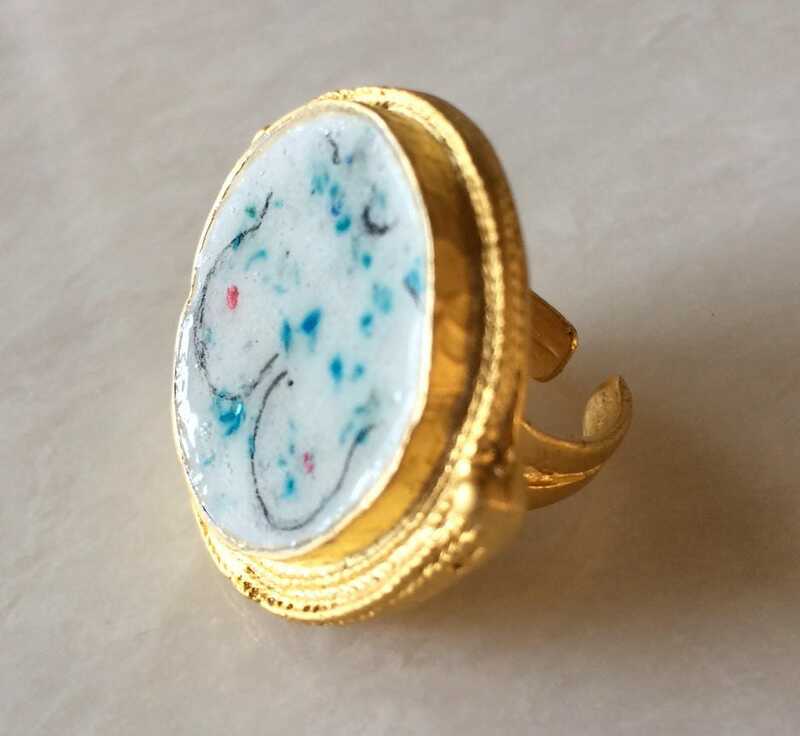 Ring is adjustable and will fit small to medium size finger. 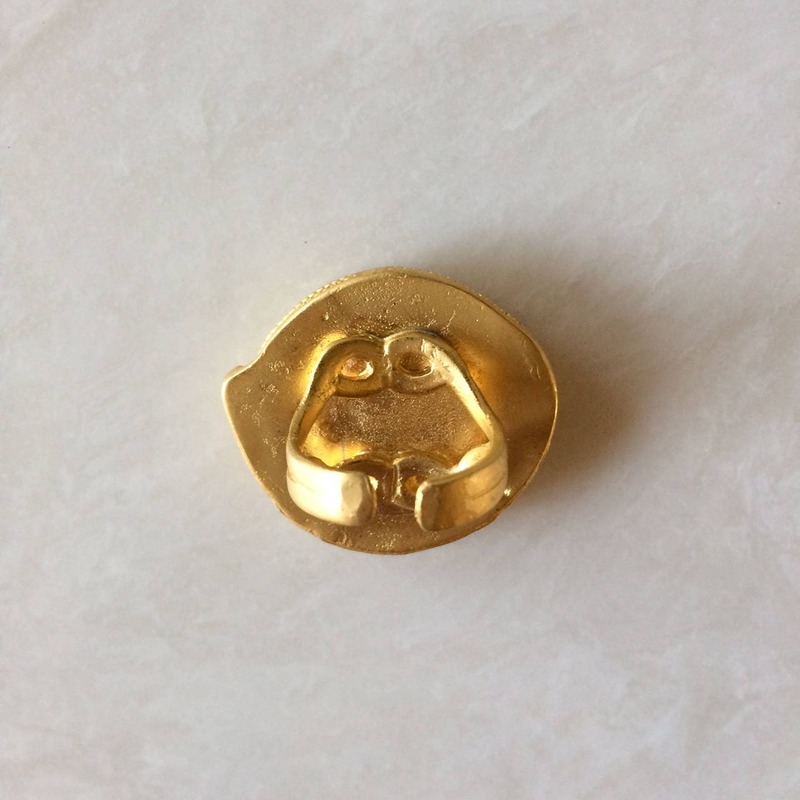 All items are kept in a smoke-free home.